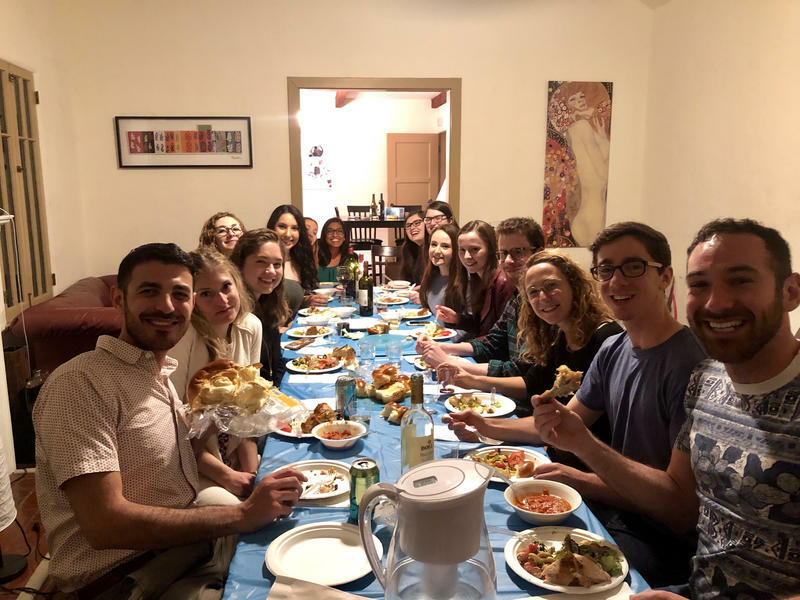 Being a Moishe House resident enables you to build community for young adults all around the world, creating unique Jewish experiences for yourself and a whole network of people. Still, we know it’s not always sunshine and rainbows. In honor of Passover we are addressing the ten plagues of being a MH resident, a.k.a. the ten obstacles that most frequently come up, and how to overcome each one. So sit back and recline at your seder table, let us make your job just a little easier this holiday season! Being a resident is a lot more work that most people realize. You’re constantly coming up with fresh program ideas and planning a budget, or shopping for said program and having to market your events. So, how can you ease this burden and get the work done? Delegation and outsourcing! First and foremost, you’ve got a built-in system of support in your house, so make sure everyone has a job. Second, get your community involved! Let them plan an event or help you with advertising. It’s likely there’s someone in your community who’s ready and willing to take on a bigger role in the house—so let them! Getting people to your programs is a game of networking, personal asks, and timing. You’ve got to send out your monthly newsletter, make Facebook events, and push social media posts—and send those direct messages to friends and specific community members. And even when you require an RSVP, people can be flakey and cancel last minute. So, how can you streamline this process? Divide and conquer. Who are the key members in your community who can pull in their friends? You can (and maybe should) be using marketing design tools like Canva to create graphics you can easily share. And if you didn’t already know, you can use part of your program budget on marketing for Facebook ads to help spread the word to people you don’t already know. You work hard for your money, and we know it’s a lot to be out a portion of that each month until Closeout goes through. How can you save your wallet while hosting fabulous programs? Get your community members involved! Aside from community members being able to showcase their own cooking or share their talents, having your community be responsible for providing wine or donating resources enables you to guarantee participation AND saves you time and money. Another great way to prepare for shared finances is to plan how much you will spend per program when you plan your events before the 20th of the month. That way, you know exactly how much will be leaving your wallet. Moishe Houses around the world come in all sizes, from large homes in Atlanta to three-bedroom apartments in NYC. Some of your communities need more space that you can afford to fit. How can you keep an open and active community, without feeling limited by your space? Mix up your locations! Of course, you need to host at least half your programs at home, but what can you do to create something big outside? 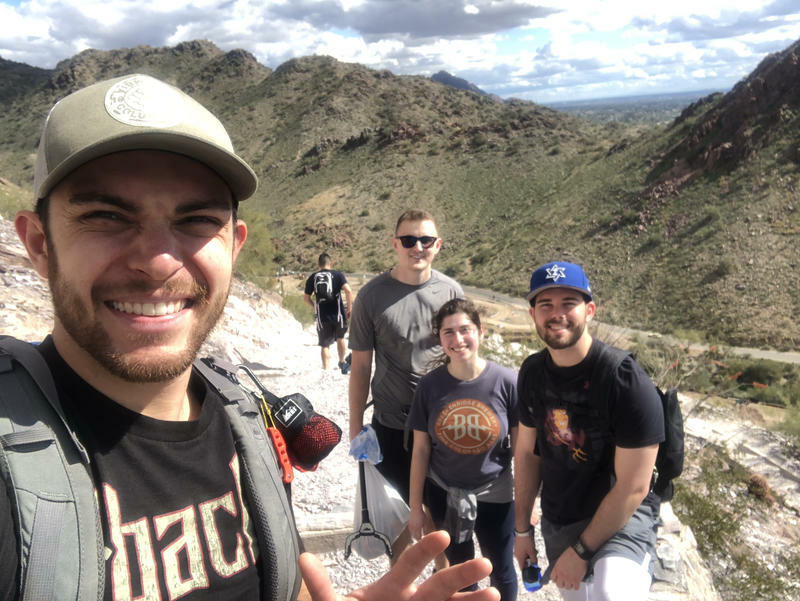 Hosting Shabbat picnics in the park, attending the Jewish film festival screening with on-site discussions, and leading Tikkun Olam projects in your community are a few ways to get creative about where you host. Repairing the world is a major value in Judaism, but it can sometimes be difficult to execute. Social programs and Jewish culture are easier to plan, but they don’t have to be so separate from Tikkun Olam programs. Some questions you should first ask yourself are: What does your community get passionate about? What’s already local to you? What are you already doing to make the world a better place and how you bring your community to help? Fortunately, Moishe House has made this easy with the introduction of its Tikkun Olam Pillars! This quarter, we’re focusing on Environmental Issues and Global Climate Change. Some houses have already hosted a trash pick up and hike, clothing swaps, and art projects to style their own reusable bags. It doesn’t have to be big—just something that makes sense for your community and makes you feel good. When you think about it, there’s a significant difference whether Moishe House creates community or specifically Jewish community. How can we create Jewish community for people who are still exploring their Jewish practice? Shabbat dinners are low-hanging fruit to share a cultural Jewish experience, but how can you go deeper? A fun place to start is to look at little Jewish rituals and make it an opportunity to engage with the subject. 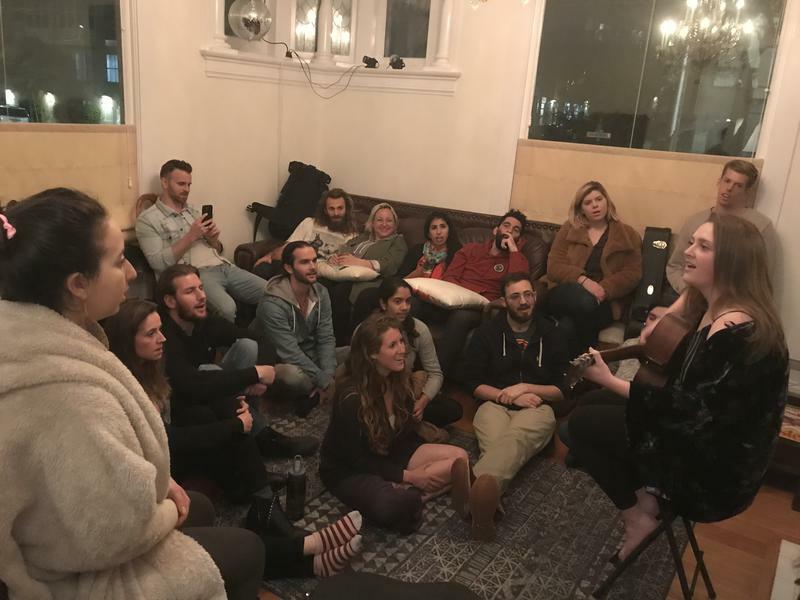 Havdalah is a beautiful ceremony—how about hosting a program Saturday night and incorporating it to show others how easy it would be to do on their own? You can also think about what you’re already doing in general and finding the Jewish aspect in it. For example, now that Game of Thrones is back on, you could host a viewing party and conversation on central Jewish values of family, loyalty, and helping others. We all have a million things on our plate, and a monthly program requirement can be an added stress. But while it’s work to plan programs, it should be an opportunity for you to hit pause and spend time with your community. The key here is balance. Mix up big programs and small events to engage different members of your community. Not every program needs to be a 40-person Shabbat brunch. Those are great, but you can also host a low-key Jewish learning session for 10 people. Balancing the large and intimate programs helps keep your average where it should and takes off some of the pressure. Change can be pretty scary sometimes, especially when it comes to where you live and how you work. 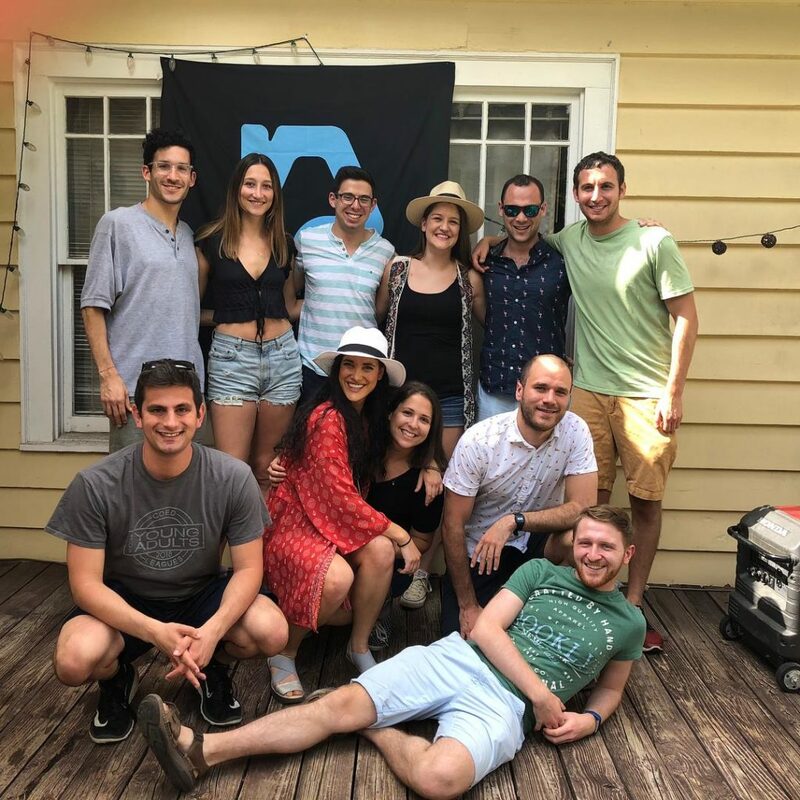 Transitions are a natural part of a Moishe House experience and can happen multiple times during your residency if you live in a house long enough. So, how can you be open to transitions while letting them be as least disruptive to your house as possible? The most important thing to remember when you’re welcoming someone new into the fold is that there’s a lot to learn and as the seasoned resident, you’re there to support them through their first months (and beyond). You’ll create new norms together and should assist with their first programs. Walk them through the Mintranet and their first Closeout. If you guide your new co-resident well in the beginning, your house will run smoother in the long run and create a sustainable community. If there is an obstacle getting in your way of thriving as a resident, we want to know about it. Reach out to us over email, Facebook, or carrier pigeon and let us know what’s up. By looping in your Regional Manager, we can help you break down these barriers so that you can continue to be successful. Some of these plagues listed may hit closer to home, and solutions mentioned may not be possible. Most importantly, when you name these problems, you’re able to work on solutions. Go do great things.